Can Watford's Troy Deeney grab a third for the season? Can Watford's hot home form continue? With a perfect start to their Premier League campaign and a facile victory over Reading in the League Cup, Watford are this season's surprise package. Comparisons are already being made with Leicester City's shock title winning side of two seasons ago and the Hornets are now less than [200.0] for Premier League glory. Victories at home over Brighton, Crystal Palace and Spurs, and a 3-1 win away at Burnley have seen Javi Gracia's charges attain the maximum 12 points in their first four matches and we perhaps shouldn't be too surprised. Since the Spaniard took the reins in January, Vicarage Road has been something of a fortress. Chelsea, Everton, West Brom and Newcastle all lost there last season and the only team to come away with all three points in the last 10 Premier League ties played at Vicarage Road is Burnley in April. Since Gracia took charge, Watford have won more Premier League points in home fixtures than any other team and their form figures read P10 W7 D2 L1. In contrast to Watford, Manchester United have started their season poorly. An unconvincing 2-1 home win against Leicester on the opening weekend was followed by a calamitous 3-2 defeat at Brighton and a 3-0 drubbing at home to Spurs (two teams Watford have beaten this season) and time will tell whether their 2-0 win at a sorry Burnley last time out was a turning point or just a brief bit of respite for under-fire manager, Jose Mourinho. Famed for losing control and form in his third season in charge at Chelsea and Real Madrid, the third season syndrome striking again is a distinct possibility and Mourinho has been the favourite to be the next Premier League manager to be sacked ever since his bizarre press conference following the defeat to Spurs. A change in system, style and personnel produced an encouraging first half against Tottenham but United were torn apart after the break so Mourinho changed things again for the trip to Turf Moor and recalling the dependable Marouane Fellaini paid dividends. The Belgian's physicality looks likely to be an asset at Vicarage Road, too, given only three sides have committed more fouls than Watford so far this season and that they rank sixth for tackles per game but the biggest key to how United perform is Paul Pogba. The Frenchman admitted his attitude wasn't "right enough" against Brighton and only two players have been dispossessed more than Pogba (14 times) so far this season. Watford will be up for the fight from the first whistle and this is a huge and important test for the World Cup winner. United have history on their side here. Watford won this fixture 3-1 almost exactly two years ago but the Red Devils have won 11 of the last 12 meetings between the two sides in all competitions and Mourinho has won five of his six Premier League encounters with the Hornets. Anyone that wants to bet on the strength of those stats and the historical merits of the two clubs will be siding with the visitors at a shade of odds-on but I prefer to look at the current form lines and Watford looking a cracking price given their recent form at home. Both teams have comfortably disposed of a busy Burnley team, side-tracked by European commitments, but if we compare their respective results against Brighton and Spurs, and reputation and history is put to one side, Watford have to be considered great value to keep their impressive home form going. Watford at an industry-best of 7/2 to win makes plenty of appeal and the [3.25] on the exchange about Watford in the Draw no Bet market looks especially generous. The goals are flying in so far this season - in the Premier League after four rounds of fixtures, we've now seen 116 goals scored in 40 games. That's an average of 2.9 goals per game and 63% of games have produced three goals or more. There have been three or more goals in six of the eight games involving these two sides so far this season (three apiece) and 50% of Premier League ties involving Manchester United and 53% involving Watford last season produced three or more goals. Odds-against for Over 2 ½ Goals here? Yes please. If you fancy combining two or more scenarios to build a bet that pays handsomely, click on the Same Game Multi tab at the top of the Sportsbook market and pick two or more selections to build a wager. 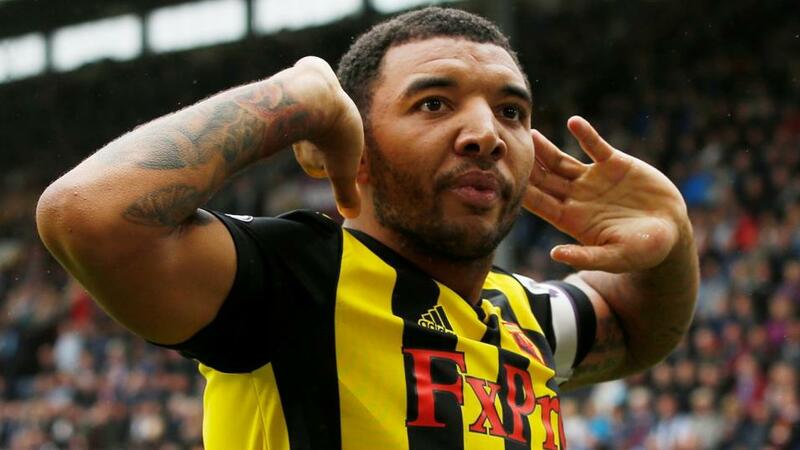 For example, Over 2.5 Goals and Watford to win pays over 6/1 but if that's not juicy enough, Watford captain, Troy Deeney, has scored against Manchester United three times previously and he's already notched twice this season. Add him to score to the wager and it pays just over 13/1.